Ravi Bhalerao is a top of the rung business strategy consultant struggling with two disquiets in life – a festering career disillusionment and a festering wound in his posterior. Stung by an unfair performance appraisal, he pulls off an outrageous stunt at his workplace, drops off the urban map and reaches his ancestral land, a village in drought-prone Vidarbha. There he encounters India in its elemental form. Convinced that his destiny is somehow entwined with that of his country, he sets off on a truth-seeking mission. On that mission, he finds love, revolution and most importantly, a redemption for the disquiet in his rear. Anand is a former physicist on a spiritual quest through esoteric India. He realizes that the path to realization is beset on all sides by gurus, their cults and their boundless quirks. As he hops from one ashram to the other, he grows convinced that liberation does not come with a user manual in a neat little box. 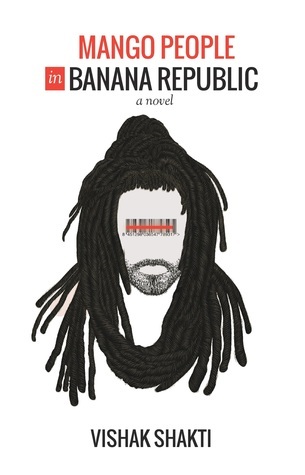 Wrapped in light-hearted, almost tongue-in-cheek prose, 'Mango People In Banana Republic' is a tale of an Indian’s search for personal identity, against the backdrop of a country divided along fault lines of countless social identities. Teeming with a cast of characters and ideas that encapsulate modern India, the tale ascends from the gross to the sublime, much like the Kundalini powers some aspire to acquire. With a steady pace, and gentle mocking humour, this book is an absorbing read and a laugh. There are not a lot of books which force you to think and think about what you just finished reading. This book was different. At first I thought this is going to be another suspense corporate book but it was much more and much beyond that. I loved how different kind of genres came together in this book. There was madness, self-help, spiritualism and every other kind of transition a book can get in itself. The main character was very nicely crafted, he can make many people see themselves in him. The frustration, the want to find the bigger meaning and the never ending fight from yourself. His viewpoint is really commendable. This made the book funny and sarcastic at various turns. The rediscovering part in the book is my favourite. I got lost in it from time to time. The book is not an easy read. It needs your patience and time and that really pays off. The writing was mediocre but the narration and execution of the book was good. The pace was easy going and flowy. It made the whole reading venture great. I can recommend this book to anyone who love books which are genre-less. Vishak Shakti is a writer by compulsion. He writes to vent, to purge, to indulge, and sometimes just for the heck of it. He has written for publications such as MSN India, The Hindu, and Clean Bowled. He thinks that a good book has three essential ingredients – entertainment, artistry and relevance, in that order.